So you have finally decided to make some room in your garage or driveway and get rid of that used, old or scrap vehicle that is of no longer useful to you. You don’t want to involve in the hassles of advertising it, dealing with the buyers and haggling over the price. And you still want to sell it as quickly as possible for a fair cash. In that event, it is usually best to hire a professional auto wrecking company, but you are not convinced if it will be a great way to go. Well! It is best to understand what benefits car wreckers can really provide you. Car wreckers offer highly reliable services that are totally different from those common scrap yards. Besides removing junk or wrecked automobiles they also pay cash for cars. Their services don’t end here they offer so many benefits that you need to understand about them properly so you can know what they actually do and fully rely on their services. Professional auto wrecking companies consist of experienced members. Including the professional auto mechanics. When they inspect vehicle that are brought to them. They will most likely locate some worn-out or broken components that cause your vehicle to break down every now and then. They would be also able to explain you how they will deal with each and every removed part. Their knowledgeable experts will thoroughly explain you why it is best to recondition, recycle or salvage those specific parts and components. However, when you think of selling your car privately. You have to hire a professional mechanic in order to inspect it. Usually, vehicle owners only let go of their old vehicles after a large number of years. Reputable and authentic car wreckers will not only tow away your old vehicle, but also explain you the benefits of getting rid of a damaged automobile quickly. With the help of their extensive experience and knowledge in the automotive industry, they will help you to know what are the hazards of keeping broken, damaged or rotting automobiles on your property. They will actually inspect your vehicle and then explain the potential risks of leaving it deteriorating in your garage. If you choose an auto wrecking company that claims to work in an environmentally responsible way. They should be able to provide you eco-friendly services. This means they should be able to explain their process of scrapping, refurbishing, recycling and disposing all kinds of auto parts and components. Their experts should be able to show how they dispose the useless parts without harming the environment. Car wrecking companies also have a team of experienced and skilled auto appraisers or evaluators. They don’t buy vehicles to resell them again for money like local dealerships. So you can expect to obtain a fair and accurate appraisal for your junk ride when selling it to them. Their trained assessors have decades of knowledge in evaluating the worth of different types of used or old automobiles regardless of their make, model, brand and condition. 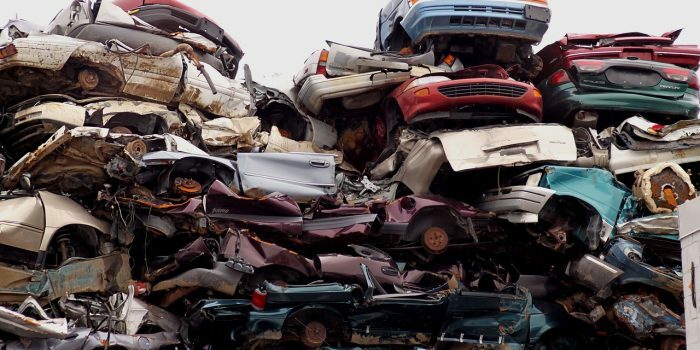 More often than not car wreckers follow a more detailed process when it comes to properly recycling and reusing scrap components. In contrast to regular scarp shops which treat each junk component as a scrap metal. They refurbish those parts that are useful and sell them as replacement auto parts. While they salvage and break down the remains of the automobile into scrap metal so as to recycle and sell it. However, when they find no useful parts or components in an automobile they simply discard it in an ecologically safe way. After going through the above secrets of dealing with car wreckers. You will finally understand why it is a much better option to work with experienced auto wreckers. Remember, it is not only about the removal of your deteriorated or desolate vehicle from your garage. It is about the proper recycling and disposal of your old or unwanted vehicle so that it can put to some good use.